With Monday marking the ninth anniversary of the Supreme Court's landmark decision on Citizens United v. Federal Election Commission, first-term Rep. Gil Cisneros (D., Calif.) called on Congress to support campaign finance reform, despite his campaign benefitting from Democratic super PACs, special interest groups, and tens of thousands of dollars from the financial services industry. Cisneros, who won $266 million from the Mega Millions lottery jackpot in 2010, urged his fellow lawmakers to support the For The People Act, also known as HR 1, which focuses on election laws and campaign finance. "Citizens United was decided 9 years ago today," Cisneros tweeted. "It's time to end corruption in our government & why I've cosponsored #HR1, the #ForThePeople Act – our plan for transparency, voter empowerment, election protection & campaign finance reform." Citizens United was decided 9 years ago today. It's time to end corruption in our government & why I've cosponsored #HR1, the #ForThePeople Act – our plan for transparency, voter empowerment, election protection & campaign finance reform. The Citizens United decision loosened campaign finance restrictions on unions and corporations. 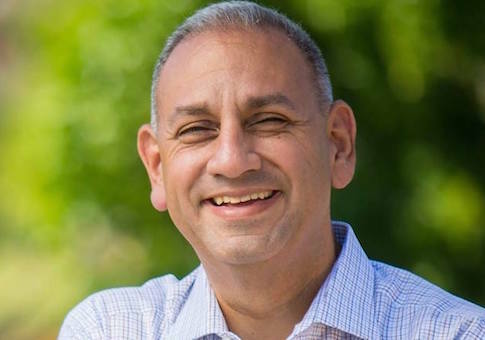 Despite Cisneros' tweet, the congressman received tens of thousands of dollars from Goldman Sachs, Bain Capital, Microsoft, and other corporations during his 2018 campaign, in addition to more than $236,000 from liberal groups, according to the Center for Responsive Politics. His campaign also benefitted from millions of dollars in spending from Democratic super PACs, including the House Majority PAC and Priorities USA Action. The House Majority PAC, which is tied to House Speaker Nancy Pelosi (D., Calif.), spent $2,808,221 against Cisneros' Republican opponent, Young Kim, and Priorities USA Action, a major Democratic super PAC that spent over $44 million helping Democrats in 2018, spent $107, 141 against Kim, according to the Center for Responsive Politics. Cisneros' race in California’s 39th Congressional District was the most expensive non-special House election in history. Cisneros tweeted last January that he "refuse[s] to take PAC or special interest money and support[s] a constitutional amendment to overturn Citizens United," although his campaign benefitted from multiple special interest groups, including J Street, the Latino Victory Fund, and NextGen Climate Action. J Street, a left-wing advocacy group with a reputation for being hostile to Israel that was one of the most vocal supporters of the Iran nuclear deal, donated $26,047 to Cisneros, and the Latino Victory fund, a progressive latino group funded by billionaires like George Soros, spent $15,000 on behalf of Cisneros and $20,000 against Kim. NextGen Climate Action, which was founded by billionaire environmentalist Tom Steyer, also spent $144,299 on behalf of Cisneros. Cisneros, a Hispanic American, recently attended a winter retreat hosted by the Congressional Hispanic Caucus' BOLD PAC in San Juan, Puerto Rico earlier this month. Approximately 30 Democrats, including Cisneros, mingled with dozens of lobbyists and corporate executives, according to footage obtained by Fox News. This entry was posted in Politics and tagged Campaign Finance, Citizens United, Democratic Donors, House Democrats, Lobbyists, Super PACs. Bookmark the permalink.